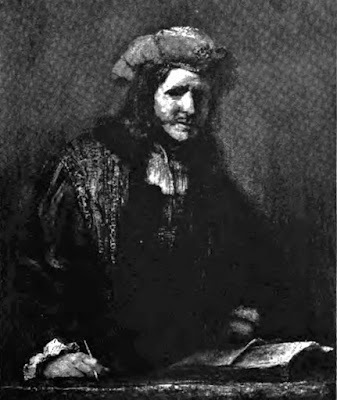 March 31, 1890 -- The Chicago Daily Tribune reports that "The Accountant," a painting by Rembrandt van Rijn, will remain in Chicago on display at the Art Institute. The treasure comes by way of Chicago oil man P. C. Hanford, who purchased the painting, valued at the time at $60,000. "I did not want to see it go away from Chicago," said Hanford. "I was waiting for some of our rich people to buy it -- one of the men who could spend the money and not feel it. I am not rich, but I love art. I waited till the last moment. We are going to have a World's Fair here and anything that we can get hold of in the way of art we ought to keep here." [Chicago Daily Tribune, March 31, 1890] You won't find the painting at the Art Institute today. Mr. Hanford sold the work on January 31, 1902 for £4,600 or a little over $22,000.